As a fellow fan of electronic music and space rock had commented to me a week prior to this show, when one of the numerous obscure bands such as Spectrum come through town, you might as well make it a point to be there because you never know when they might come back. In many cases, they simply do not. I had a pretty good idea as to what to expect from this gig. Former Spacemen 3 keyboardist Pete Kember (aka Sonic Boom) and his touring colleague guitarist Randall Nieman had turned in an hour long set of low-key minimalist electronic-based space rock that so few two piece outfits could manage to pull off. I really enjoyed their performance. They played just seven songs but did such a great job. 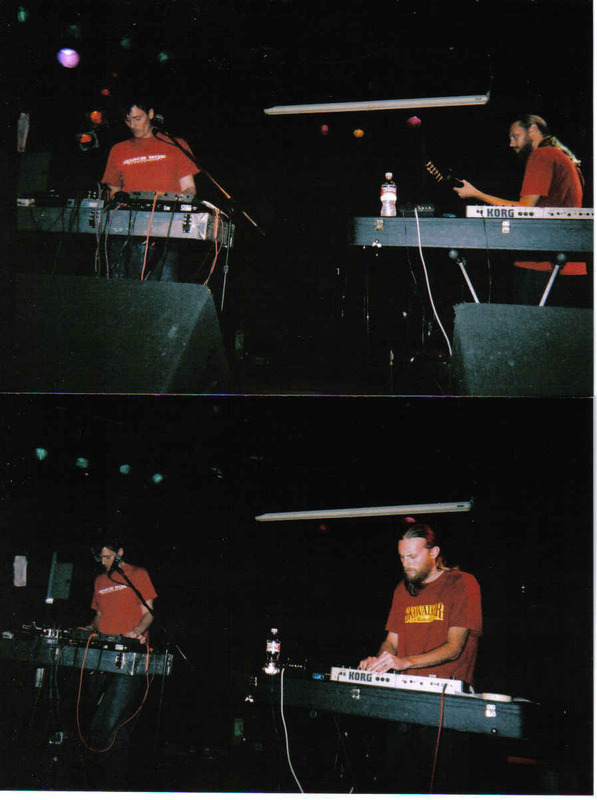 The two opened with "Mary", then a Kraftwerk song "Hall Of Mirrors", "Walking And Falling", a Spacemen 3 number "Let Me Down Gently", "If I Should Die", a track off Spectrum's CD 'Forever Alien' (my personal favorite of Kember's lengthy repertoire) "The End" and finished with a Suicide cover of "Girl". Only downside of the entire evening was there was a low turn out, of just fifty patrons who showed up. Would have loved to have seen more people there, as I've sort of gotten to look forward to experiencing a show at the Record Bar. Pete Kember was on synthesizer and vocals, and Randall Nieman also played synthesizer on all tunes except one where he took out his guitar. Believe Spectrum is slated to put out a new release here before too long. It was a true memorable event, for those of us who support this genre of independent music.